Banking industry is transforming along with other industries with evolving digital technologies. Now customers looking for a safer and more secure environment to interact with banks. Nowadays, they hardly visit banks to deposit and withdraw money and other needs. Customers want flexibility and transparency in their overall banking experience, enabling access to banking services any time, any day, any place, and from any device. In this blog, we have mentioned essential steps to render adequate safety of mobile banking applications. Cloud computing has been in the industry for some time and gradually companies are adopting it, to reap heavy profits. To guarantee security and cautiousness, a few banks like to settle the on-premise server. Some of the advantages cloud services may offer to banks are speedy service delivery, higher availability and run time, error correction proficiency, lower support, and price, with massive adaptability. 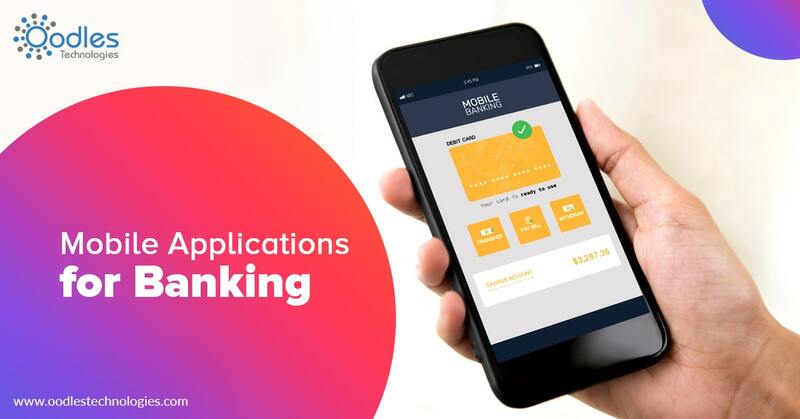 Banks can also effectively oversee activities and operations through the mobile application development process application. Bank account users want for solutions that provide quick, smooth and secure mobile banking, which are user-friendly. They need to do transactions and other banking services using their smartphone. The successful method to guarantee both convenience and safety is to build a validation process. It is structured with various layers but then still has simple ways. Henceforth, banks and other financial institutions can keep a mobile framework that expects customers to enter their login credentials. Credentials could be PINs or patterns rather than passwords. This methodology can result in a quick, smoother and solid verification process. Digital technologies are enabling industries, including Banking, to change a significant number of their tasks into paperless services. It provides advantage saving resources with digital means. Banks need efficient mobile application solutions for complex transactions. This help in replacing paper and enhance user experiences of banking services. This consists of tasks like account openings, online forms, account data updations, signatures and documentation, and transactions. The digital exchanges managed from your mobile banking application should be available for all. With this, a bank account holder with serious problems is also able to do most of their banking tasks through online method of banking. To address this point, Banks require professional mobile app development services to implement the best features as per users’ requirements. Oodles Technologies a well-known name in building mobile applications from the last few years. For any of your business requirement regarding application development, please feel free to Contact Us today.